Talisker is set to launch a new series of Sherry cask-finished whiskies inspired by the style produced at the Skye distillery in the early 20th century. 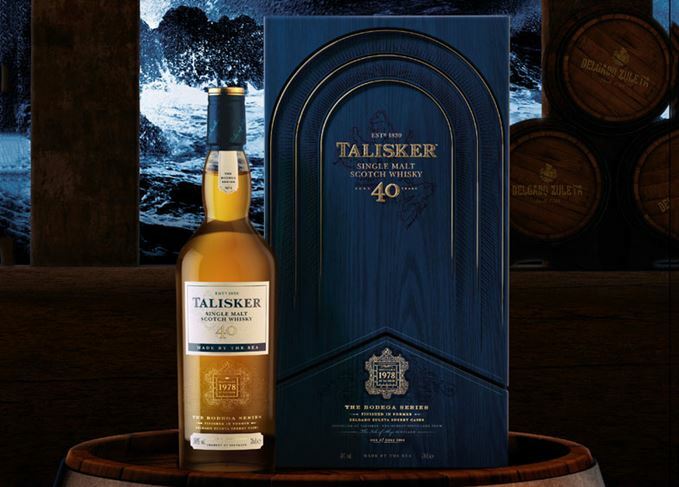 The Talisker Bodega Series will launch at the end of June with a 40-year-old single malt finished in amontillado casks sourced from one of Jerez’s oldest Sherry producers, Delgado Zuleta. The 1978 vintage – the oldest yet released by the distillery into global markets, and ‘one of Talisker’s most valuable expressions to date’ – has been matured in refill American oak barrels before being finished in the ‘special and unusual’ 40-year-old amontillado Sherry casks. Donald Colville, global brand ambassador for Talisker, said the Delgado Zuleta expression, and the Bodega Series as a whole, embodied ‘the wildness of Skye with the warmth of Spain’. Talisker’s blenders took inspiration for the Bodega Series from the company’s extensive archives, which detail the types of cask used by the distillery in the early 20th century. Colville added: ‘The power of our archive helps everything we do as a company, and this bottling is steeped in that history. ‘Throughout the ledgers and archives we have, we go back to the early 1900s and see the different types of Sherry casks used at Talisker to mature the whisky, and Delgado was being used as a key supplier of casks to the distillery. The 50% abv expression is described as ‘a deep, crystal gold liquid which signifies an echo of the old Talisker’, featuring notes of white grape, sultanas, sea salt and smoke. Two thousand bottles, presented in hand-carved oak cases, will be available for £2,750 each from specialist retailers around the world, as well as in global travel retail. The Delgado Zuleta 1978 Talisker is the first in the Bodega Series, which will expand each year with a different expression matured in Sherry casks sourced from a bodega within Spain’s ‘Sherry Triangle’. The oldest expression of Talisker to be bottled to date was a 41-year-old for a private customer in China. Sherry bomb whiskies: joy or monstrosity? While some savour heavily Sherried whiskies, others can find them grossly offensive. The distillery’s site manager on boat bars, maturation and the value of a good pair of hiking boots. The mystery Islay malt is fully matured in Sherry casks and said to taste of ‘barbecued banana’. A group of whisky lovers head to the home of Sherry for an educational experience. The highland distillery’s new Spirit of Oak collection is a celebration of the Sherry cask.